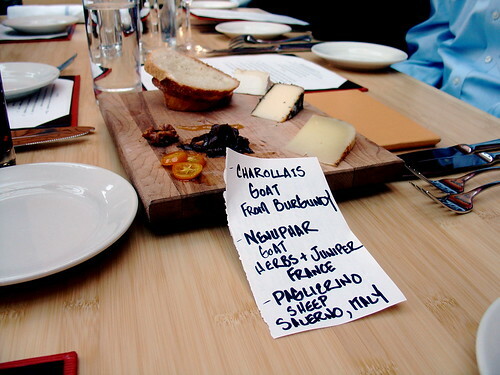 A term commonly applied to European cheeses referring to any of the different types of cheeses that are made by traditional cheese making methods and produced from the raw milk of animals such as cows, goats or sheep raised on a small regional farm, a mountain chalet farm or mountain hut. The quantities produced from these methods are small in volume. When approved for production by the Eurpoean AOC (Appellation d'Origine Controlee) the cheese is categorized as a fermier or farmhouse variety. Although this term was derived in Europe, it is also often used to classify domestic varieties of cheese.